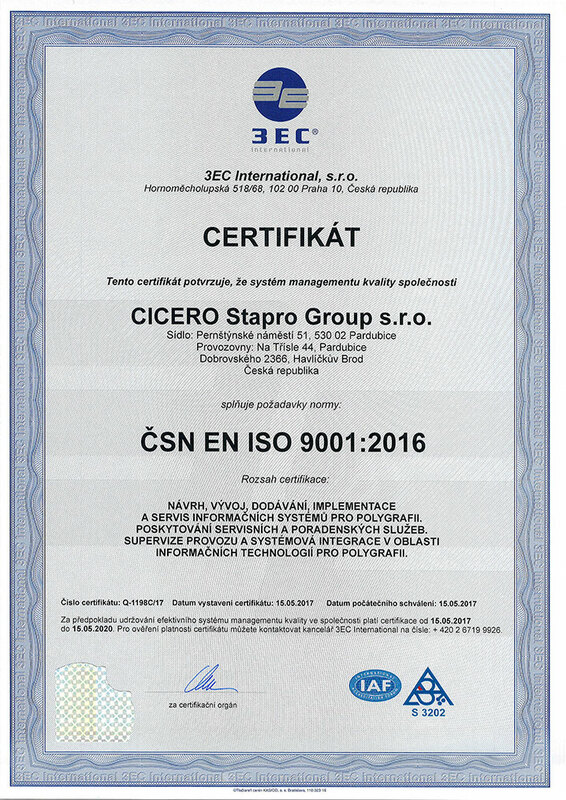 MIS CICERO 9.0 is a system designed specifically for the printing industry, where you use a wide range of materials and manufacturing processes, you have short manufacturing times and you must follow strict technological guidelines. 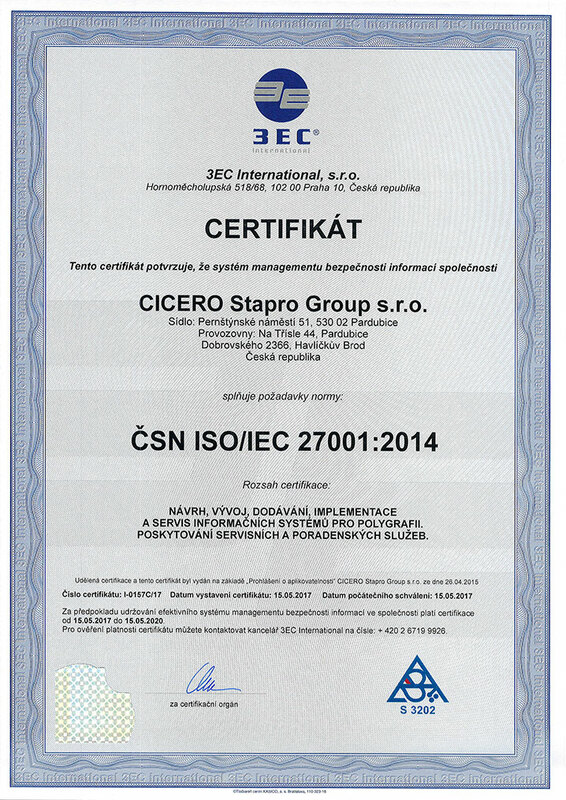 The Cicero system automates and supervises all your company’s processes. It provides all the up-to-date information you need about storage, manufacturing, your orders and your customers. A high quality information system is half of the success story – the other half consists of successful implementation and ongoing customer care. Cicero provides you with both of these. We install, implement and help maintain your system, and you see economic benefits within months. What will CICERO bring you? Our customers gain approximately 30% increase in economic efficiency, with no additional employment costs. When you control all your processes with the Cicero system you maximise your potential and gain a considerable competitive edge. Cicero allows you to manage and understand all the internal processes, leading to greater profitability. Our experienced consultants will guide you throughout the installation and implementation of the system, making sure it is a perfect fit for your company. Copyright © 2019, CICERO Stapro Group s.r.o. | All rights reserved | Webdesign 2oom s.r.o.